Silver prices gained 0.12 per cent to Rs 39,221 per kg in futures trade Monday as participants increased bets amid firm global trend. 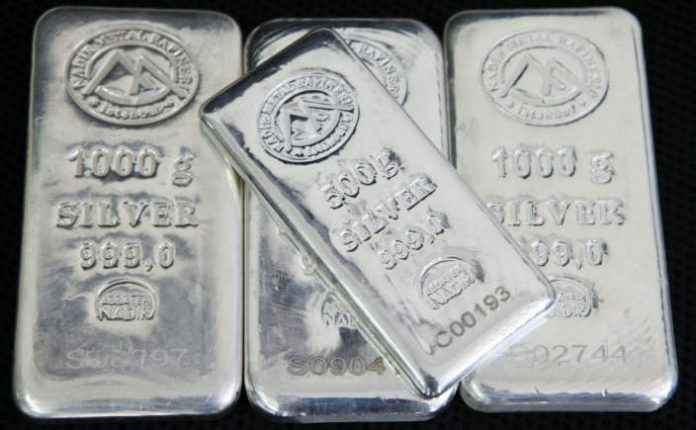 At the Multi Commodity Exchange, silver for delivery in March moved up by Rs 48, or 0.12 per cent, to Rs 39,221 per kg in a business turnover of 943 lots. The white metal to be delivered in February also rose by Rs 27,or 0.07 per cent, to Rs 39,240 per kg in a business turnover of 10,911 lots. Analysts attributed the rise in silver prices to a firming trend overseas as the weak dollar boosted demand for safe-havens. Meanwhile, silver edged higher by 0.54 per cent to USD 15.84 an ounce in New York.